Suzanne Campbell is the VP of Human Resources for Agriculture Capital. She has extensive experience in human resources management with emphasis in strategic talent acquisition, leadership and organizational development, management training, and talent management. Suzanne is working with Agriculture Capital’s senior leadership team to set and implement global human resource plans, programs, services and solutions to meet fast growth business goals and emphasize our EATS values: Excellence, Accountability, Transparency and Stewardship. Prior to joining Agriculture Capital, Suzanne held various Human Resources leadership positions in a variety of industries including Equilibrium Capital, Farmers Insurance and The Standard, HSBC banking, Intel, Cascade Microtech and WebMD Health Services in the high-tech sector. She joined the Health Services division of WebMD in 2007 and played a crucial role in supporting the strategic development of the organization. At Cascade Microtech, Suzanne introduced and drove a corporate goal setting process endorsed by the CEO and implemented it world-wide. She created a succession planning process, completed an organizational assessment and developed a new talent acquisition strategy and process. She brings a broad perspective of best practices to attract, engage and retain top talent. 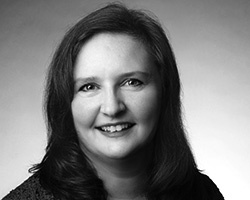 Suzanne earned dual bachelor’s degrees in Management and Marketing from the University of Oregon, and an MBA with a focus in Organizational Development and Finance from Marylhurst University. She also holds the Senior Professional in Human Resources certification (SPHR), the Society of Human Resources Senior Certified Professional designation (SHRM-SCP), the Talent Acquisition Strategist certification and Strategic Human Resource Business Partner certification from HCI. When not at work, Suzanne raises a herd of about 40 alpacas at her farm in Sherwood. Over the past 20 years she has developed a profitable and sustainable farm practices including using 100% of the fiber annually. She enjoys sharing the relaxed rural lifestyle of spinning, knitting, felting and weaving.